Most of the time scientists labor in obscurity. But sometimes a science result captures the public’s imagination in a way one didn’t expect. 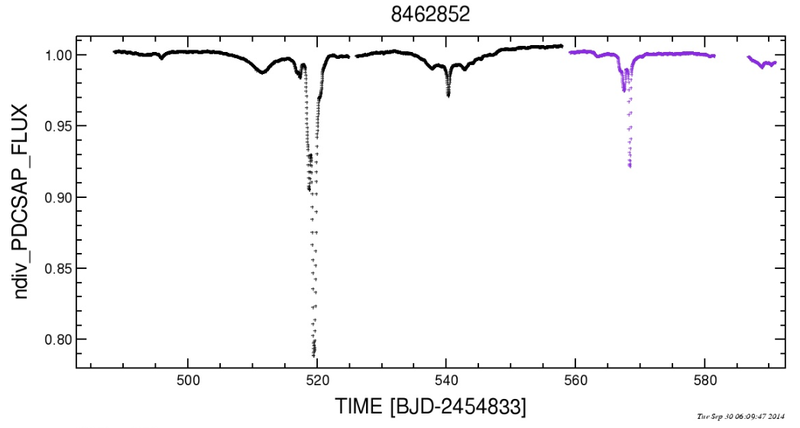 Recently, there’s been several news stories about KIC 8462852, a fascinating target (at least one star and possibly a planetary system). 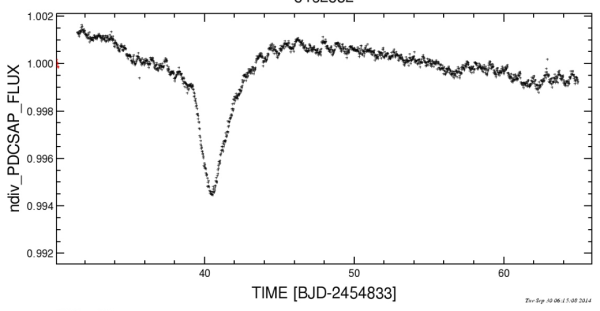 KIC 8462 (for short) is one of the many stars observed by the Kepler space telescope during its four year mission. 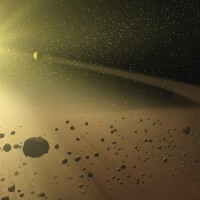 The star was not flagged as a having a planet candidate by the automatic pipeline. 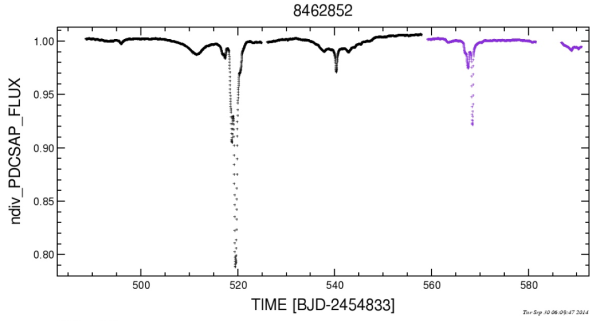 Later follow-up by the citizen scientists at Planet Hunters showed that there was something strange going on, but it was not immediately clear what that something was. 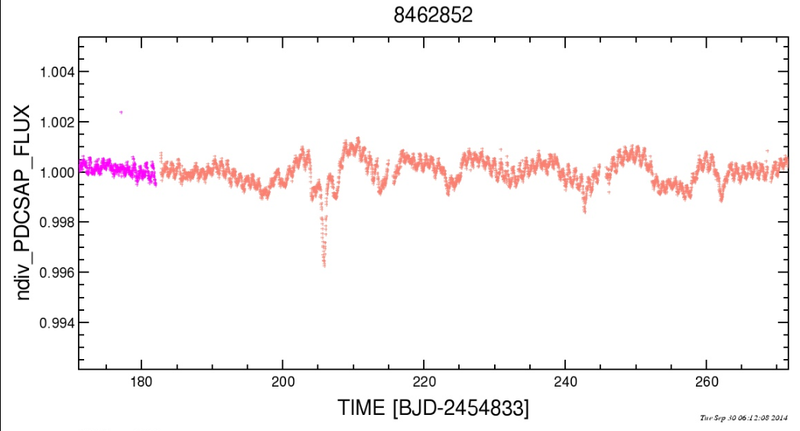 While a typical planetary transit will have a very regular shape and a very regular period, the dips in KIC 8462’s light curve are highly irregular in both shape and period, and none of the “transits” have the characteristic shape of a planet. 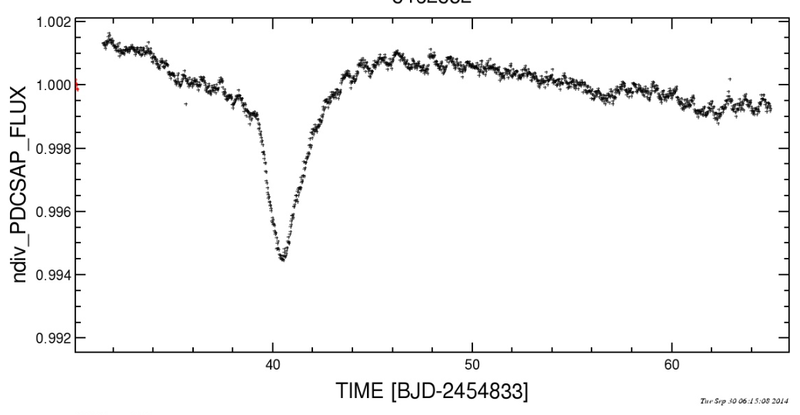 Take a look at those light-curve snippets! 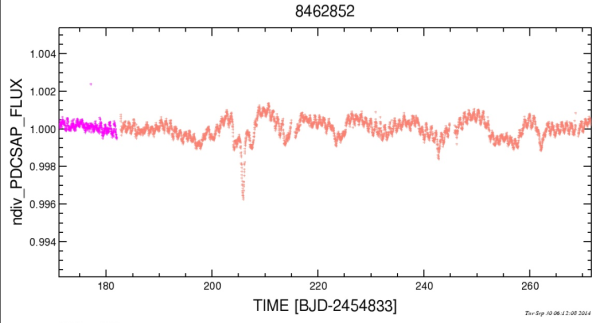 The very short period “fuzz” seen in the first and second panels are due to the star’s rotation period, but the rest of them don’t have an easily explainable natural origin. 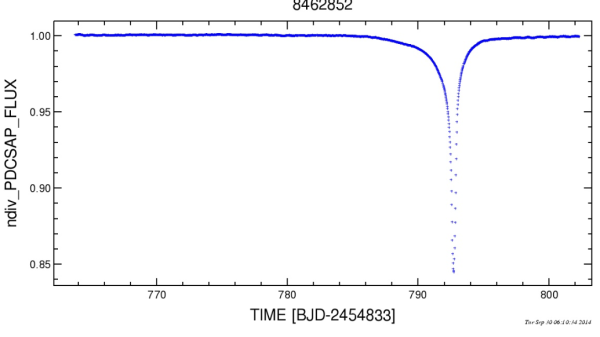 In Tabetha Boyajian’s discovery paper they discuss possible natural origins for the strange signals and ultimately propose a swarm of exocomets to explain the signal. While a swarm of exocomets could explain some elements of the light curve, there are enough inconsistencies that more observations are needed. A few weeks later, a team of Penn State exoplanet scientists led by Jason Wright submitted the fourth paper in the Glimpsing Heat from Alien Technology (G-HAT) series, focusing on the signatures and information content of transiting megastructures. The transiting megastructure theory was proposed as a way to make long-distance, low-maintenance beacons to signal your presence to far away civilizations. A transiting megastructure would exhibit a transit shape much different than a spherical planet. A megastructure that can change its shape on orbital timescales could lead to non-periodic signals. 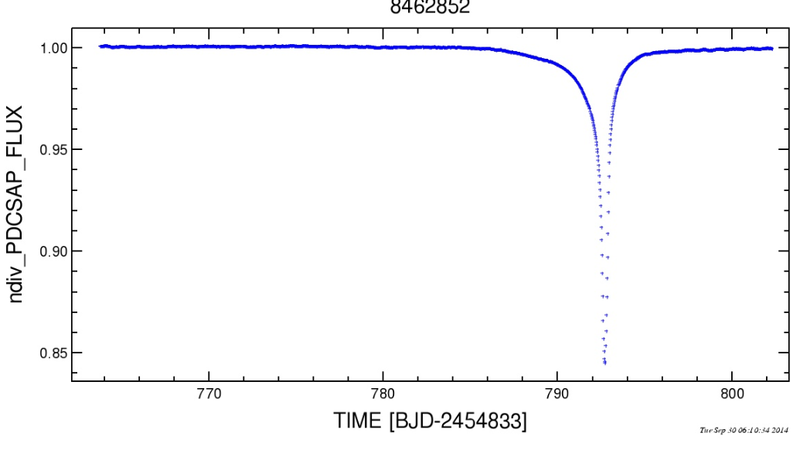 This is where Penn State’s G-HAT paper met Boyajian’s star: Wright’s paper discussed the megastructure hypothesis as it applies to KIC 8462 and could not conclusively rule it out. For more about the backstory of the media coverage for this result, see Penn State Associate Professor Jason Wright’s blog. Finally, you can read a manuscript currently under review by the Astrophysical Journal, available here.